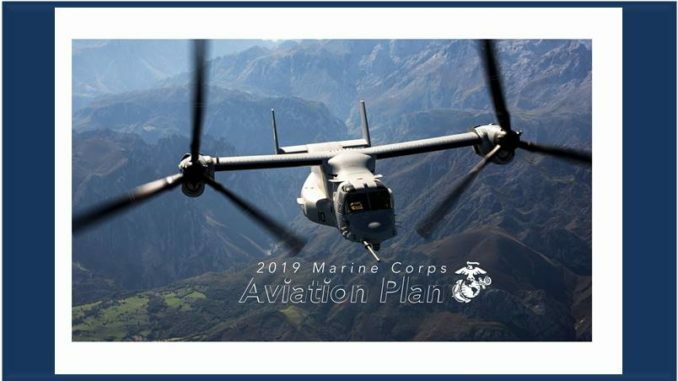 The Marine Corps recently unveiled its 2019 Aviation Plan. This year’s plan includes information about upcoming changes at MCAS Miramar related to construction, operational support, and to airframes based at Miramar including the F-35 Joint Strike Fighter, the CH-53K heavy-lift cargo helicopter, the MV-22 Osprey tilt rotor, and the KC-130 Hercules cargo plane. The plan also includes information about other Marine Corps installations and their relationship to MCAS Miramar.